Impression Homes in one of the area's largest New Home Builders in DFW! One of the larger Texas cities, Fort Worth is both historic and modern. Making up most of the western section of the DFW metroplex, Fort Worth benefits from a booming economy. Fort Worth also offers culture, an excellent selection of restaurants and top-rated schools. As a result, new homes in Fort Worth are becoming an increasingly more attractive option for homeowners. 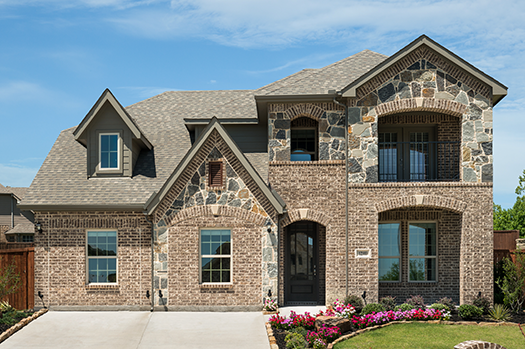 Impression Homes is a leading New Home Builder in DFW! This master-planned community offers plenty of options for every family member. With pools, splash park and playgrounds, Live Oak Creek offers great amenities, serene atmosphere and fun for the whole family! Marine Creek Ranch is nestled in the shores of beautiful Marine Creek Lake. Just a few short minutes away from downtown Fort Worth, Marine Creek Ranch is a master-planned community right on the lake. Rainbow Ridge is nestled between I-35W and Chisholm Trail Parkway and just minutes away from Benbrook Lake. This community has a very convenient commute to Crowley ISD schools. This master-planned community is down the road from the serene Benbrook Lake and has easy access to Chisholm Trail Parkway. Children will be close to schools, and families can take advantage of convenient Crowley parks. If you're looking to purchase a beautiful new home in the Fort Worth, Texas area, Impression Homes can provide you with the new home of your dreams. Work with industry professionals to find and purchase a quality home that is designed to last you for a lifetime. Create many memories with your family in your new home that is designed especially for you. Impression Homes works to provide you with top notch customer service along with the utmost attention to detail in all aspects of the home construction process. No matter what size or style household you're looking for within Fort Worth, you are sure to find it all when opting to work with this premier Texas new home builder. Upon searching for your home, you may be interested in looking into the different communities Impression Homes offers in the Forth Worth area. Each new home community offers something different than the rest, with prices and floor plans varying from one community to the next. 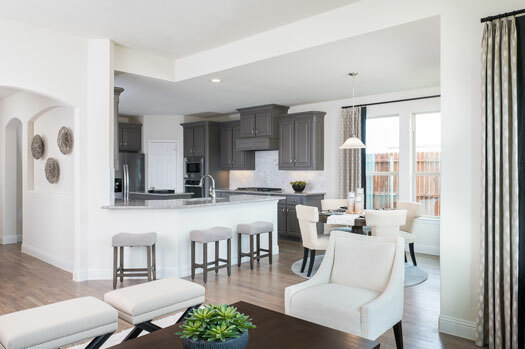 We offer both Quick Move-In homes in Fort Worth that are available for purchase immediately or you may choose to build your own home based your needs.We have a growing list of luxury new home and townhome communities throughout the metroplex. Take some time to view all of our DFW New Home Communities. 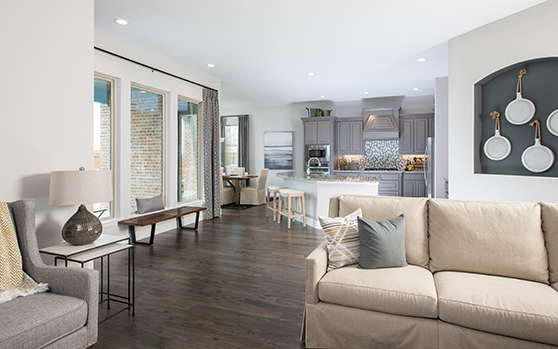 Impression Homes works with you to come up with the perfect floor plan that is right for your entire family. Whether you're searching for a 3 bedroom home or a 6 bedroom home, this new home builder can personalize floor plans to create your dream home. 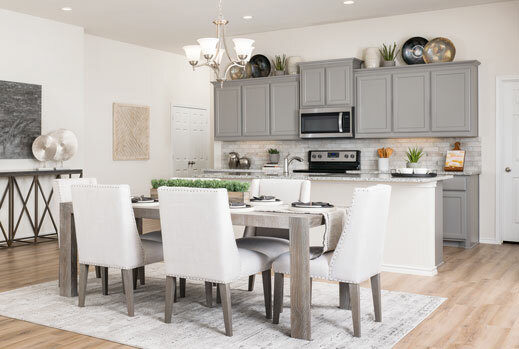 Because choosing the perfect community and ideal floor plan for your family can be a challenging decision, our trained staff is ready to assist you in making tough choices throughout the entire home buying process. If you are looking for a home to move into right away within Fort Worth, you may choose to take advantage of move-in ready homes. These homes are already constructed, completed and ready for purchase. By purchasing one of these Fort Worth homes, you can be living in your new household in no time at all. Impression Homes strives to provide potential home buyers with exceptional quality when it comes to the construction and overall design of their home. Fine craftsmanship, timeless design options, flexible features and name brand building materials ensure that your household will last for a lifetime. In addition, energy efficient options help to reduce your energy bills and to live a more eco-friendly lifestyle. To find out more about our new homes and to take the necessary steps in your home buying process today, simply contact us for additional information.